Need Parenting Counseling in NJ? Parenting a teenager can be very hard for everyone. 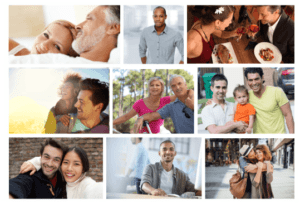 From married couples, single moms or dads (divorced or not), to gay and lesbian parents, understanding how to parent teen and adolescent sons and daughters can be a challenge. There are certain ways you can manage and improve your relationship by learning some skills of mindfulness. It means reflecting on your own triggers and working with how to handle those when your child does something that hooks you – and every child will do things that anger us. Getting better at understanding how your response (or lack of in some cases) will help and your reaction might cause things to escalate and get worse. Teenagers and young adults have poor judgement – most of them. They need your gentle guidance and power struggles will cause more resistance and problems. Things parents can explore in their own therapy – how their own conditioning, their own childhood experiences can affect they way they think things should be – on a deep gut level. Reflecting pom these experiences and the unconscious tiggers will help you immensely. Changing patterns and habits will take the so be easy on yourself as you work thorough you own issues. It will, however, be very helpful for you to accept and allow rather than fight and resist. If you need more help with parenting issues contact us at Maplewood Counseling in Essex County NJ and let us know what you need help with.